NEWARK, N.J. (CN) – A federal judge rejected a class action Thursday by a New York Jets season ticket holder who says the team devalued seat licenses he bought at $4,000 a pop. 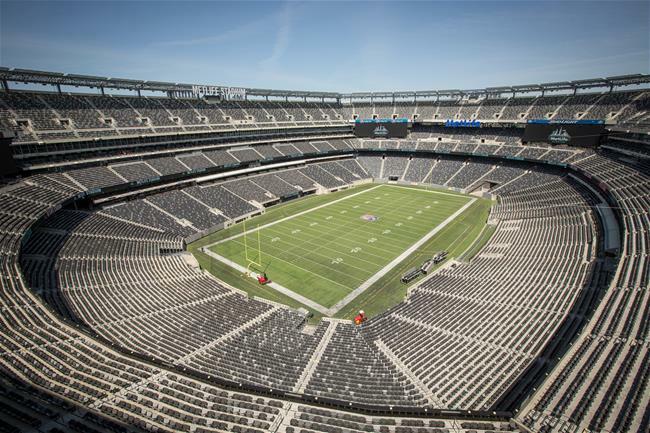 Represented by the Saddle Brook firm Cohn Lifland, football fan James Gengo brought the suit in New Jersey over a pair of PSLs, short for personal seat licenses, that he purchased in 2010 for two 200-level seats at the MetLife Stadium. The Jets and the New York Giants share the stadium in East Rutherford, using PSLs to offset construction costs and financing. From 2010 to 2018, the Jets made PSL purchases a requirement for any fan who wanted season tickets in certain sections of the stadium, including the 200 level. When the Jets began selling 200-level seats to the general public as well in 2018, Gengo claimed that the move had made his PSLs worthless. Gengo claimed the PSL agreement gave him an exclusive right to seats at the 200-level, but U.S. District Judge Stanley Chesler noted in a ruling Thursday that the contract lacks any such “exclusive” language. Gengo also failed to prove that the Jets had a “bad motive or intention” in breaking any “implied contract” as part of the PSL agreement, Chesler said. As for the claims under the New Jersey Consumer Fraud Act, Chesler said Gengo failed on three counts. On the last count, Gengo “has additionally failed to support this claim with factual allegations that defendants intended to knowingly defraud or deceive plaintiff, as required by the CFA,” Chesler wrote.